Do you think its time for a home detox and to check if your home is toxic? A healthy home is something that everyone aspires for, especially for those who have children they need to protect from harmful elements. When it comes to providing a happy and safe indoor environment for one’s family, there are a number of things to consider, chief of which is determining whether your home is toxic or is otherwise contaminated by harmful substances. Since it is a necessary step to find out whether or not your home is safe enough for its inhabitants, it would be prudent to have a working knowledge on how to check for possible contaminants such as chemicals or organic substances. Listed below are some tips on how to check if your home is toxic, as well as how such problem can be properly addressed. Here are some of the most common toxins and contaminants that can cause any number of illnesses not only in humans but also in domesticated animals (pets). When doing a cursory inspection, it is important to keep a powerful flashlight on hand and wear the proper gear (rubber boots and thick gloves). 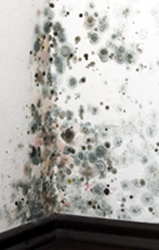 How do you know you have mold in your home? Some of the contaminants are very easy to pin-point, such as black mold and mildew because they have a very distinctive odor. 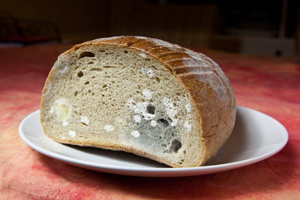 Food mold is also easy to spot since it forms a black/green growth on the bread, or cheese which gives off an awful smell. Be sure not to touch any of the toxins or substances with your bare hands since they can cause infection or contamination when ingested or absorbed through the pores. Unbeknownst to many, unclean air is one of the most common causes of respiratory disorders such as adult onset asthma, bronchitis, and an assortment of lung problems. Indoor smoking is among the common causes of air contamination at home, which is why it is ill advised to light cigars or cigarettes inside the house. Indoor barbecuing is also discouraged, especially if you are using charcoal. Clean air at home can be ensured by keeping the inside of the house totally smoke free. In addition, using HEPA vacuum cleaners to collect dirt would also be advisable since it keeps dust from getting mixed with the air that circulates around the premises. HEPA vacuum cleaners are ideal for allergy sufferers. There is a very good chance that you need to detox your home, especially if you have not been keeping up with safety practices. It is always best to keep apprised on the new methods of how to detoxify your home in order to keep yourself and your family happy and healthy.